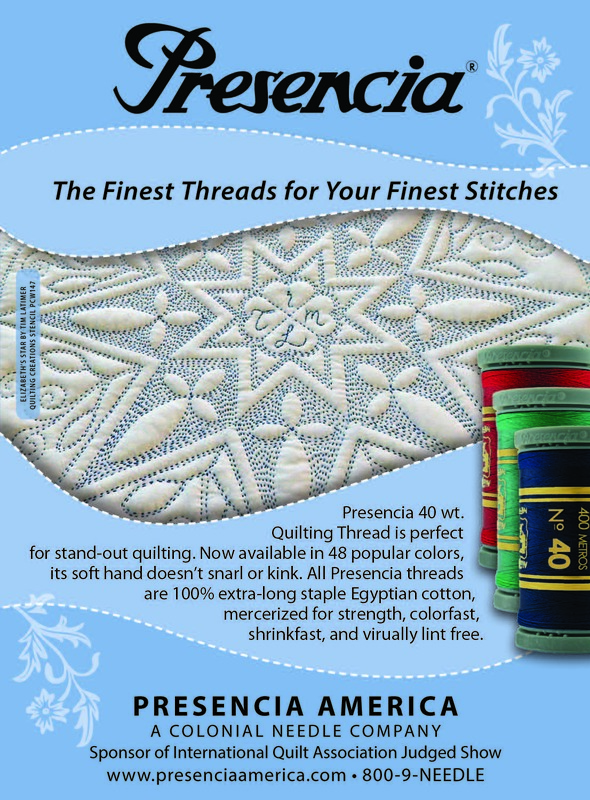 I posted a few days ago about an advertising piece for Presencia Thread featuring my hand quilting. Yesterday this arrived at my door as a thank you. 3 cones of 40 weight, great for hand quilting, 3 of 50 weight, perfect for piecing, and a package of assorted perle size 8 and one of size 12, prefect for big stitch hand quilting. 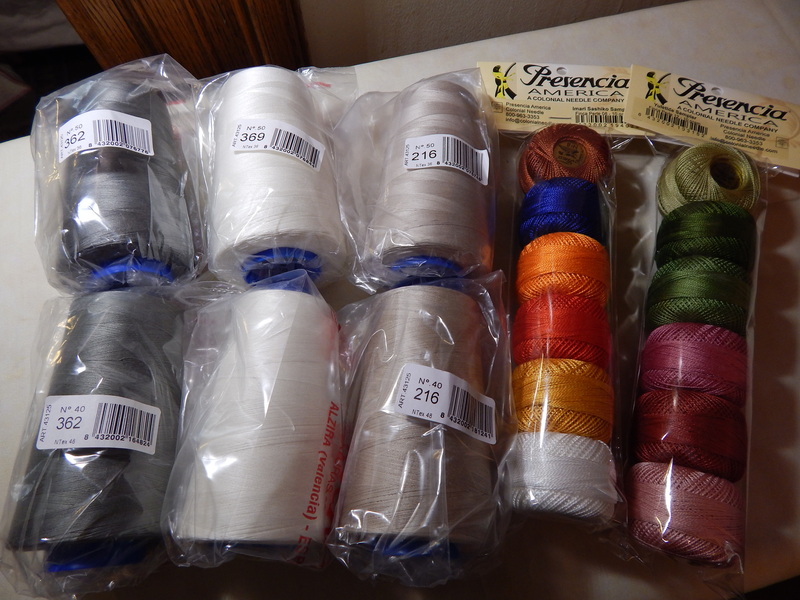 I am already planning a whole cloth using all that colorful perle cotton. It is finally warmer here….I think I need to get outside and do some spring cleaning in the garden! 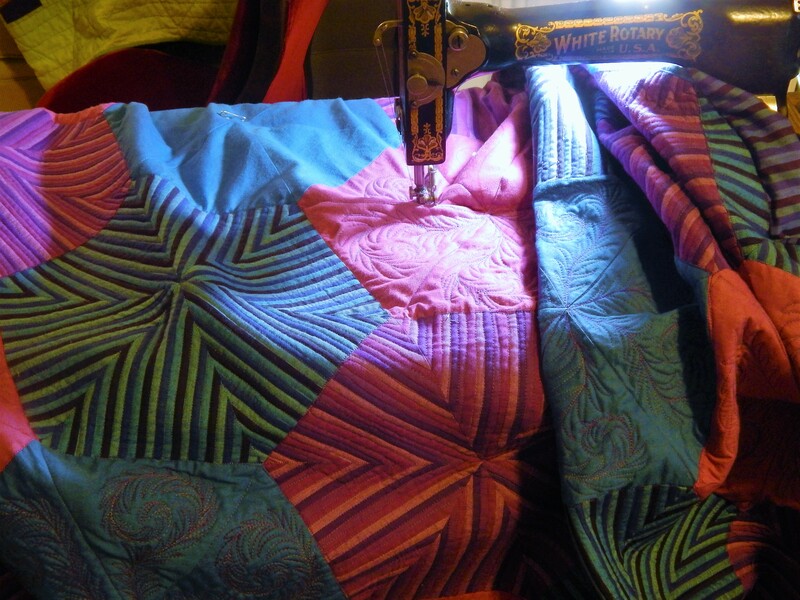 This entry was posted in Quilts and tagged hand quilting, presencia thread, Quilts. but, but, but ……what about all those mouthwatering quilt top.s…..now in boxes. I hope you do not forget about them. 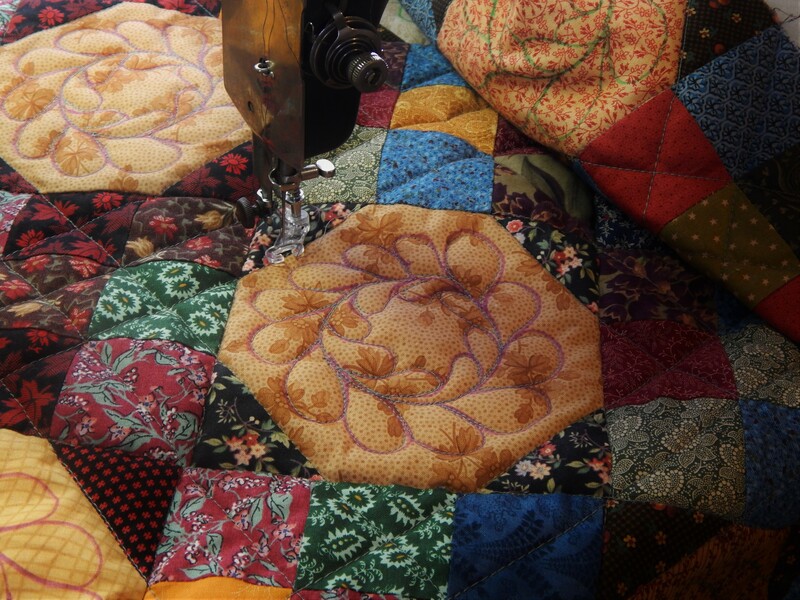 Wow…All those antique quilts! A lot of work, but a worthy project! And the thread gift…how wonderful..! You do marvelous work….so prolific! thread has a great future ahead of it in your talented and capable hands. Thank you once again for continuing to teach and inspire us all. I am curious – what do you use for marking? Nice gift/perk of all the threads! Tim, are you retired or do you hold down a job too? Also, how many hours a day do you hand quilt? Do your wrists ever hurt? I’ve been having some pain in my right wrist and I guess I’m overdoing it. Pats to Teddy! This new whole cloth of yours is going to be a knock-out. Looking forward to seeing your “In progress” photos. Oh WOWWWW Tim that looks so so exciting, this is going to be a show stopper, just love all those curves, I can not wait for next week as I know you will be working on it all day LOL. Cheers Glenda Australia. I use presencia #16 perle just for a bit less thread colour on some quilts. It is very nice to use, not hard on the hands like some perle thread. I’m impressed with your sorting out, you have inspired me. Sweet. Your quilting is lovely. 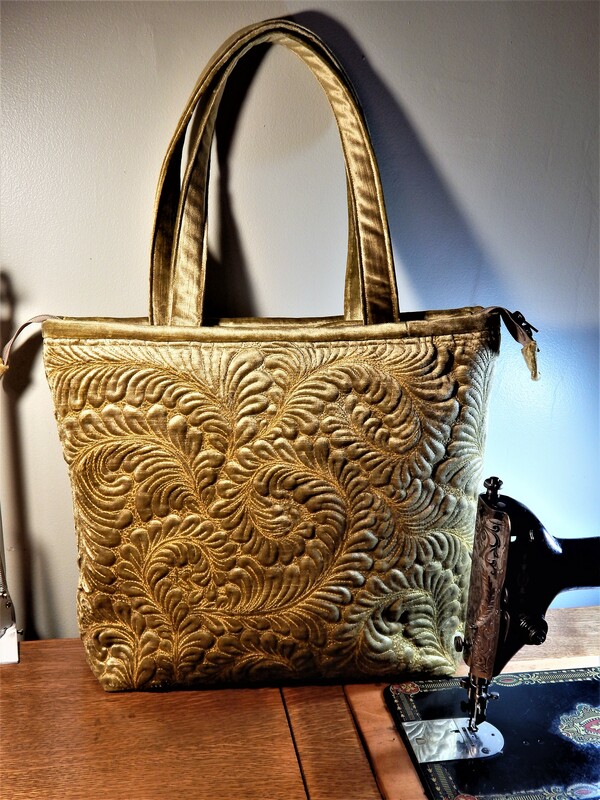 Do you have a shop to recommend for Presencia thread? 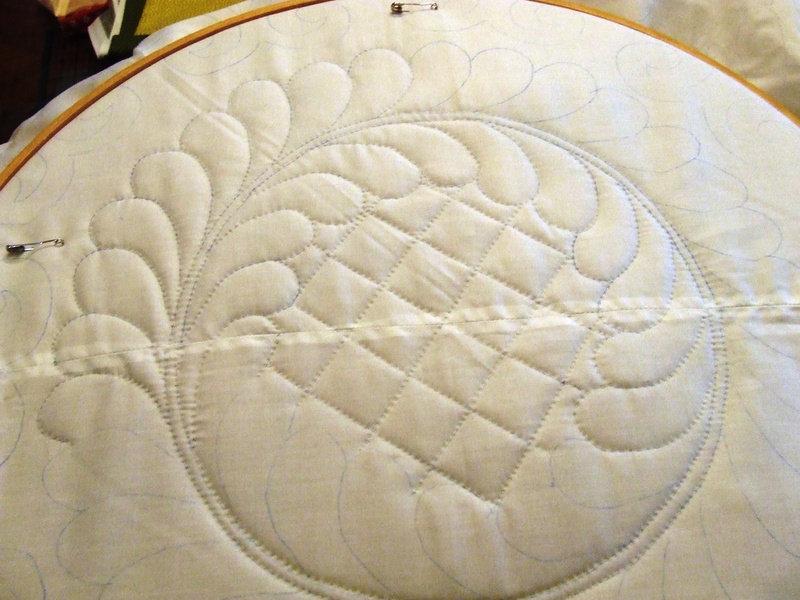 I also love hand quilting and have a couple of projects that I’d like to use a heavier thread, preferably Presencia. But I can’t find it locally. Thank you, again, Tim for featuring an introduction to a product I did not know about. I have already been on the Presencia website, and I did select a thread I have to try out. 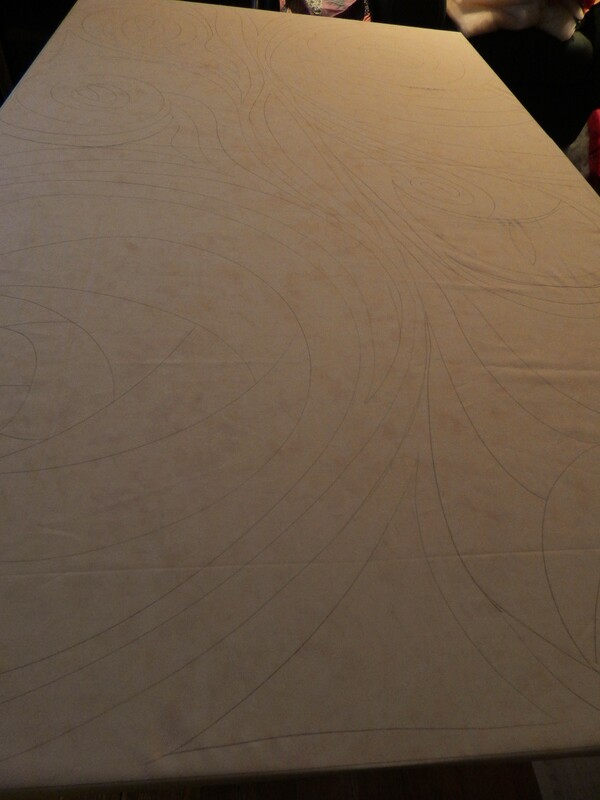 BTW: I can’t wait to see this quilt done. Abbey says hi to you and Teddy. Okay, okay, on behalf of Team Tim Latimer, I am appeased; by sending you the thread, Presencia has paid homage for your work gracing their packaging. The cover says they are Sponsor of the International Quilt Association Judged Show. What’s that about? Cannot wait to see what you do with the wholecloth. I’ve been out in my flower beds cleaning up the debris left from last fall. I’ve been doing a little at a time on warm days, and just one more bed to go and it will be complete. I envy you the energy to clean up the garden front in one day.